The author kindly sent me an e-copy in exchange for an honest review. Lawrence Fyre and Marin Strang aren’t like other people. He is the eccentric owner of failing Sargasso Books in the Brighton Lanes. She is an ex-Jehovah’s Witness and isolated Spanish teacher. If they live together in his illegal, beautiful, rope laddered lock-up, can their love overcome their losses? Piano from a 4th Storey Window was a mixed bag for me. Whilst the writing was beautiful it was also very confusing. I just think the plot/storyline wasn’t my cup of tea as it was more on the adult romance side which is hit or miss with me. That’s just me personally and I think a lot of people would enjoy the story. There were moments that I really enjoyed but sometimes I felt the plot could be quite rushed, I enjoyed the second half a lot more as the I kind of started to get into the pacing of things. I enjoyed when the plot was less focused on the relationship and more on the individual characters themselves. That’s just my view because I’m not a huge fan of romance focused storylines. I found Marin to be a really interesting character even if I wasn’t a huge fan of Lawrence. I couldn’t quite connect with the relationship, it just didn’t seem very healthy but the writing made me keep reading, it’s very compelling. I liked the range of characters, especially Lawrence’s employees Clarence and Baillie, they’re dynamic made me laugh sometimes. I also really loved Lawrence’s nephew Cy, I felt his character really shone through. The side characters really made the book for me. 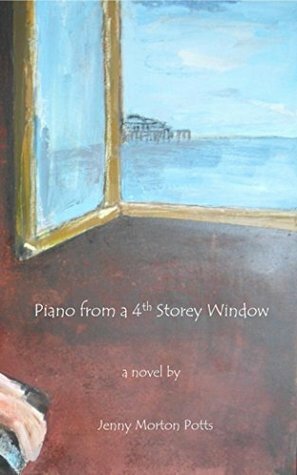 Overall I think that Piano from a 4th Storey Window was an interesting novel and I think it would appeal to a lot of people even if it just didn’t hit the spot with me. Despite this I found some parts very enjoyable and I’m glad I read it.